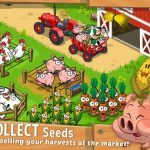 Ovidiu Pop’s Farmer Sim 2015 is a different kind of farming game compared to games such as Farmville. 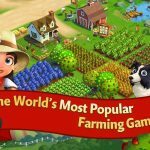 We are saying this in a good way, though, as the game claims to be realistic, allowing you to plow, sow, and harvest using lots of different machineries. Then again, a lot of mechanics are similar to classic farming titles, as you can sell your harvest for money, which you can then use to buy new tractors and combines. There’s also an open-world career mode where you can “become a professional farmer” and see how far you can go. All in all, it’s probably most similar to the PC game Farming Simulator. 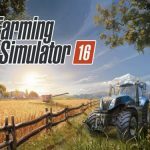 Before you start harvesting, we suggest you to check out our list of Farmer Sim 2015 tips and tricks if you want to be the ultimate professional farmer, at least in this game. The mini-map comes with a lot of information that you can use as you progress as a professional farmer. 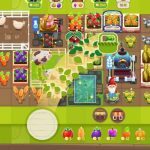 If you have a goal you’re trying to achieve, the map will show you where to go with a red line, and if you tap on the mini-map, you’ll see a full overview of your farmland as it stands. Each tool has a different colored dot, so pause the game, check which dots correspond to what tool, and regroup as necessary. If you’ve got the right farming vehicle and tool, then you can take advantage of Auto Mode. The auto button will appear on the left side if this is the case, and you’ll have to make sure your tool is on before you hit the button. That will allow the game to control your vehicle or tool and do what you need to do while you sit back and relax. It’s not absolutely foolproof, but it’s much more relaxing on your end as you won’t need to deal with the game’s rather frustrating control system. Brown plots need to be plowed, dark brown plots can still be seeded, dark green plots mean there’s something growing, and light brown/gold plots mean you can go ahead and harvest the crops. Take note of the color coding so you can run your farm more efficiently. It’s not just crops that you can tend to in Farmer Sim 2015. You can also buy animals and have them create products on their own – cows cost $500 per unit and milk from cows sells at $10 each. Sheep sell for $350, and their cheese will cost $12. Chickens cost $15, but then again, their eggs cost just $1 per unit. All your vehicles, meaning your tractors and combines, have to have some gas in them at all times. If you see the fuel gauge is running close to empty, head to a gas station and fill ‘er up. You’ll have to pay a fee if your farming vehicle breaks down and runs out of gas; this fee is typically more expensive than what you’ll pay when refueling, so don’t be caught without any fuel.